New Ideas in…: French: Rubinstein variation (7 part series). C10: French: Rubinstein variation 3… dxe4. With over 90% of White players opting for either 3 Nc3 or Nd2 against the French Defense, many players like the idea of the option of an easy-to-play sideline rather than the theory-trodden paths of the Winawer or Tarrasch variations. A simple solution is the Rubinstein variation with 3 ...dxe4 that can be deployed against both the big main-lines of 3 Nc3 and 3 Nd2 and has easy development and no pawn structure weaknesses for Black. And from there, there's also the solid Fort Knox variation with 4 ...Bd7 or the newer (neo-Rubinstein) Katalymov's variation with 4 ..Qd5. And in his latest series of "New Ideas In....", GM Ronen Harzvi shows just how easy and how handy the Rubinstein variation can be. 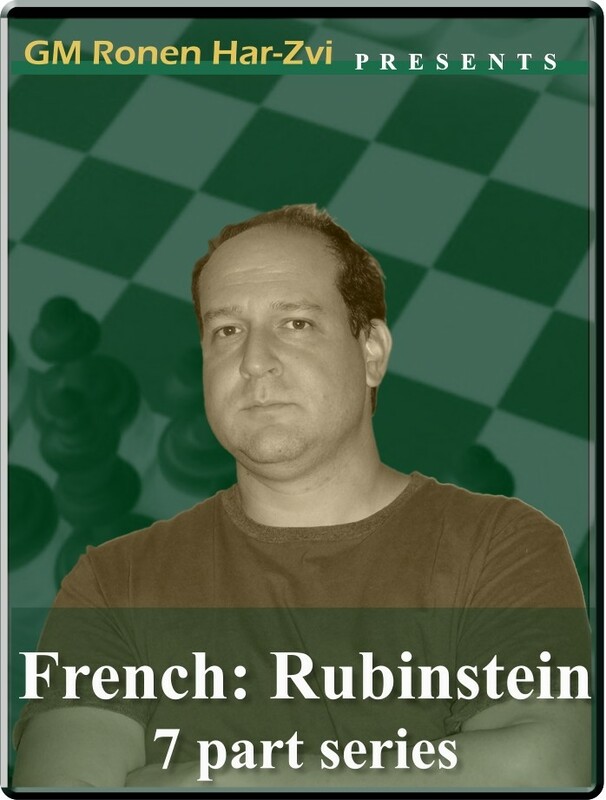 New Ideas in…: French: Rubinstein variation (7 part series). C10: French: Rubinstein variation 3… dxe4. With over 90% of White players opting for either 3 Nc3 or Nd2 against the French Defense, many players like the idea of the option of an easy-to-play sideline rather than the theory-trodden paths of the Winawer or Tarrasch variations. A simple solution is the Rubinstein variation with 3 ...dxe4 that can be deployed against both the big main-lines of 3 Nc3 and 3 Nd2 and has easy development and no pawn structure weaknesses for Black. And from there, there's also the solid Fort Knox variation with 4 ...Bd7 or the newer (neo-Rubinstein) Katalymov's variation with 4 ..Qd5. And in his latest series of "New Ideas In....", GM Ronen Harzvi shows just how easy and how handy the Rubinstein variation can be.